Special Skills or Talents: Cleaning, wrapping, and maintaining bound feet, as well as enduring the pain and walking with bound feet. Simply put, she is a 'freak', simply because her feet and body are so small. Her feet are bound and have reached the 'Golden Lotus' status at just under 3 inches long (Foot binding was a common practice done on girls until the Communist revolution and were considered beautiful), a fact of which she is proud. She is also 4 feet, 11 inches and quite small, to fit those feet. Fortunately for the act, most Westerners are rather ignorant to the practice and her small size helps to convince people that they are natural, rather than a forced look. She has no real 'talents' besides baking bread (Lie-ba in the local dialect) and the maintainence of her bound feet to prevent further infection and ingrown toenails. She can also dance, quite amazingly, but prefers not to unless required. She is almost always rather sleepy and languid because she drinks a lot of Laudanum(Opium. I say no more). Special personal items: Her shoes and a pair of prayer beads (One Buddhist Shu-Zhu and the other Russian Orthodox lestovka). Anything Else: Will not wear anything shabby (In the 20s, Harbin was considered China's fashion capital) and busts out in a mixture of Standard Mandarin and Russian when upset or confused. She is very good at baking bread, as well, and does so at every chance she gets. She drinks laudanum(Or Tincture of Opium) when she wants to sleep or when the pain gets too bad with her feet and is rather addicted to it, as well as carrying a vial of it everywhere she goes. It all started because she wanted to see the circus. She was the daughter of a farmer and lived a rather rural life while making trips in and out of the big city when she could. She especially enjoyed the Russian part of the city and learned Russian in order to accomidate herself to selling in the area. The circus was indeed in the Russian part of Harbin. She begged and pleaded with her parents to let her go, but they refused until she threatened to unbind her feet, the one thing that guaranteed her marriage to someone above their station. 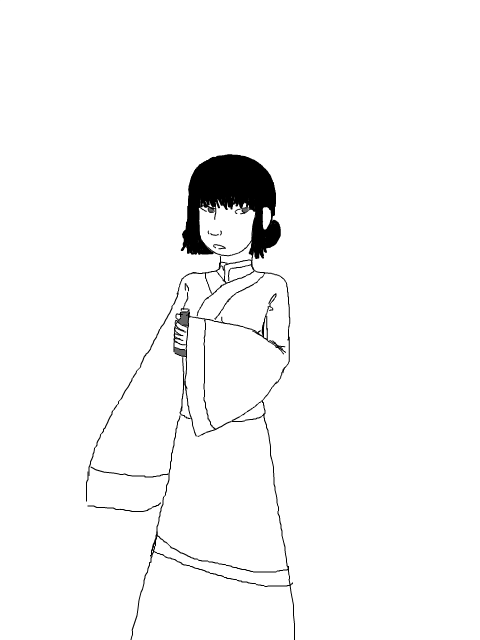 Now, usually, Xue would wear a long dress to cover her tiny feet, not realizing that they would be a rather uncommon concept in the mainly European part of town. That night, she wore a pretty shirt with baggy pants that revealed the tiny shoes. It was on her way home, late at night, that she was pulled into an alleyway, a rag forced over her mouth. When she finally awoke, she was so groggy and disoriented, she hadn't the slightest clue where she was. The back of a wagon, maybe. Someone spoke soothingly to her, she remembered, and offered her something to drink. Since her throat was very dry, she accepted it gratefully. She passed out again. This was the ritual for the next few days and when she became addicted to Laudanum, the opium-based drug they'd used to make her sleep. When she was finally allowed to stay awake for more than a few minutes, she discovered her fate as a sideshow act. At first she was rather upset, having been forced to leave her family and home for this new, strange one, but the narcotics and rather docile personality she already had calmed her down and she accepted it with as much grace as she could muster. Currently, she doses herself daily with Laudanum to keep her sleepily detached from the world, as if she's in her own personal bubble, and does her job without complaint.